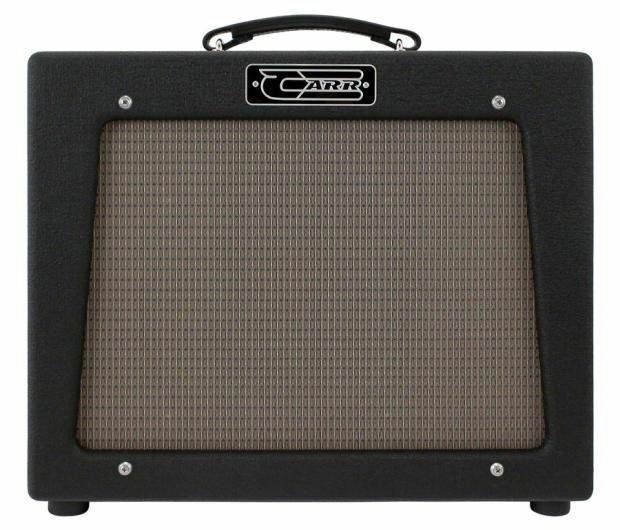 The Carr Skylark….…Is the ultimate low-power American inspired amplifier!! The Skylark idea began with our love and appreciation for classic home/student 60s American amps such as the Harvard to name but one. These small – student amps deliver organic tube juice and vibe at real world volumes – making them super usable and super satisfying. Our Skylark takes this fun utility a giant leap forward. Reverb, a built in power attenuator, Hi/Low gain switch, and the extended range presence control offer an incredible pallet of tones from the Skylark’s beautiful dove-tailed cabinet. Power: 12 Watts Full Power, Attenuator between1.2 and 0 Watts. 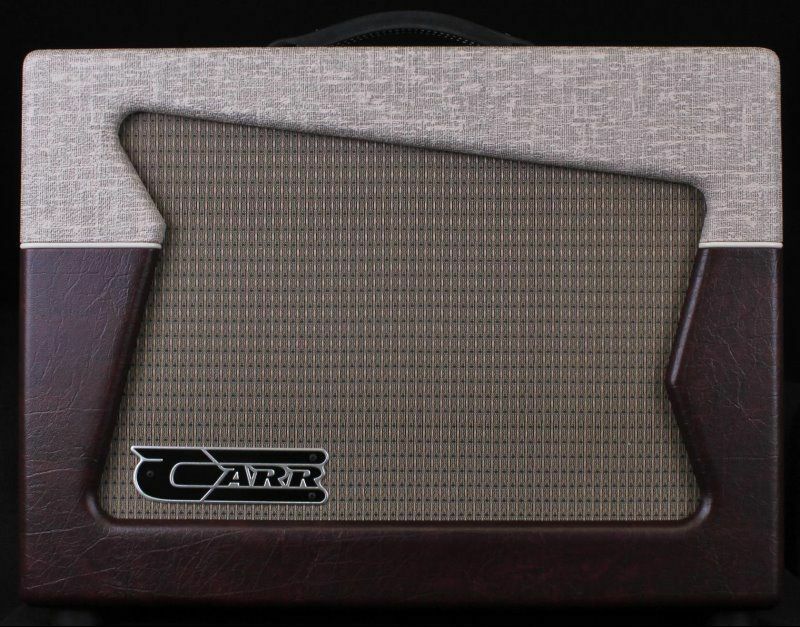 Long before the birth of Carr Amplifiers, I spent years playing, repairing, modifying and intently listening to classic guitar amps. The Rambler was one of my earliest signature designs, and today it is still one of our most popular models. Why? 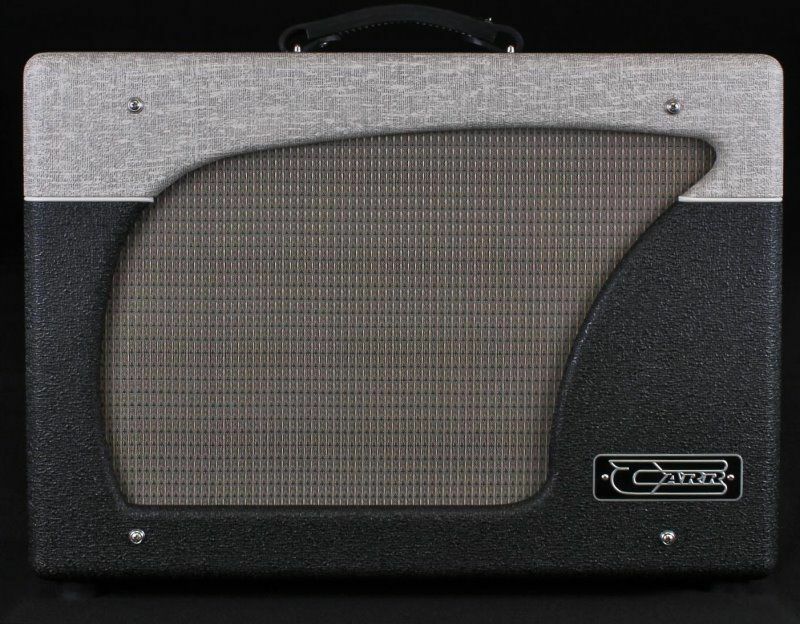 It's no accident that the Rambler succeeds in delivering classic American 'deluxe' tone with dramatically expanded clean headroom, solid bass response and the option of 28 watt pentode or 14 watt triode operation. The Rambler simply reflects my desire to improve and refine the original concept of an appropriately powered 1x12 club amp with reverb and tremolo. Rambler owners describe their amps as being warm, full and round, with a surprisingly high threshold of clean tone, (which also makes the Rambler uniquely suited to virtually any overdrive pedal ever built). The Rambler is considered by many to be the quintessential club amp, voiced to meet the needs of virtually any player, and all types of music. Now, 13 years later, the amp that started the full featured, low powered, attenuated combo revolution --- returns!! The Mercury V, older British cousin of our award winning Skylark, is back with a highly evolved feature set borrowing the best of the past while rocketing into the future. The Mercury V is highly touch sensitive with a huge range of English tones from 60s aggressive clean thru 70s rock into 80s and 90s tasty crunch. Our built in attenuator delivers real power tube overdrive at whisper levels retaining the feel and juice of full volume fun. Like recording on your computer? Just plug the Mercury V line out into your A/D interface and go! The Luscious Spring Reverb, full ranging Overdrive options, and effective tone controls make the Mercury V an invaluable recording tool. Home player? Experience big amp satisfaction with domestic tranquility. 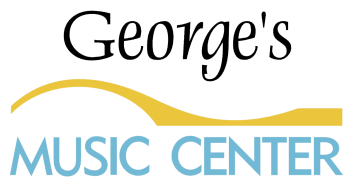 Gigging musician? 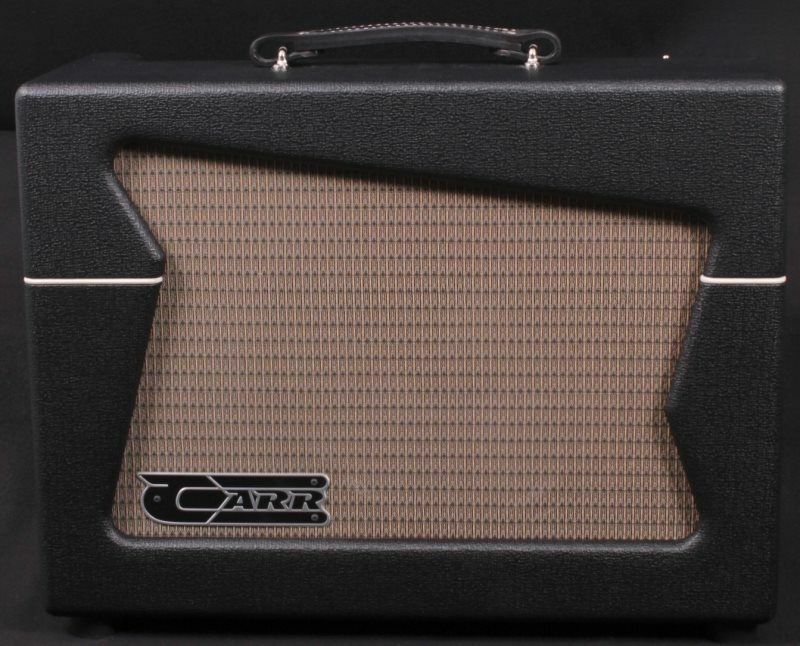 16 burly watts in full power means the Mercury V is a commanding stage amp. Mercury V wins the six string triathlon ---- Home - Studio - Stage. 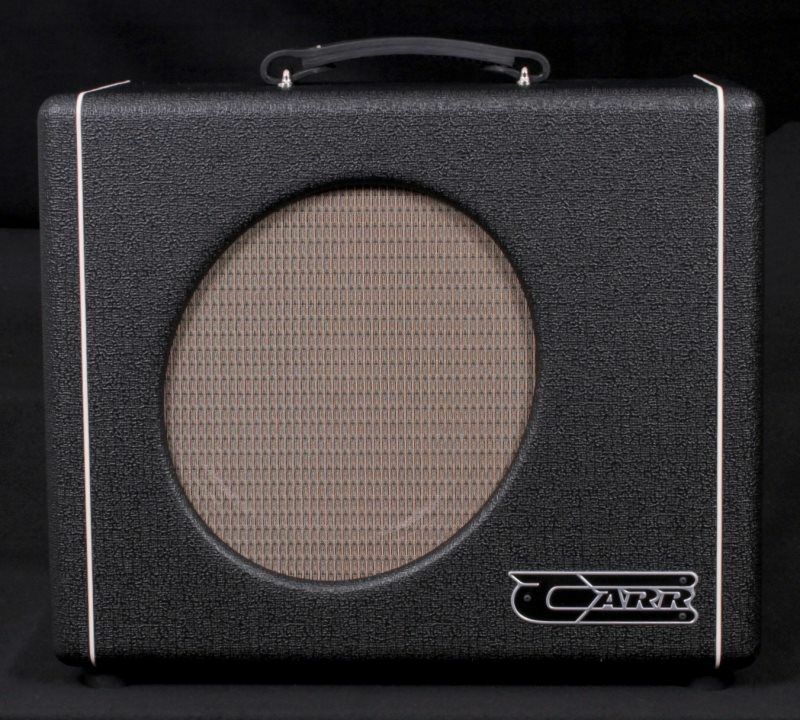 Plus, you get everything Carr is known for, in-house crafted solid pine dovetailed cabinets, bleeding edge power supply components mixed with Mid-Century signal elements, and true point to point wiring. The Mercury V – Scary Good! This beauty just came in from the original owner - he purchased this amp here at George's Music Center. It was lightly used at home, this amp is in perfect condition! this is a great way to save a few dollars and get a great amplifier! The Impala is one of those very rare amps that can do it all. From sweet glassy clean tones to pushed, in your face, American overdrive – you will find it here. The control panel is deceptively simple with its ultra wide range Volume control the star. At lower settings the Impala stays in the 60s American clean voice while taking the volume past 3 o’clock brings in heightened pre amp toothy overdrive. The Master Volume allows you to dial in the right amount of power tube thickness and overall loudness. Amazing with pedals due to its wonderful solidity and openness!! Anywhere you are – the Impala is the ride of choice! Volume – Adjusts the loudness and drive of the amplifier. The Impala has an extended range volume control and you will find you can sweep from sweet and clean to very distorted. Treble – Varies the top end from dark to bright. 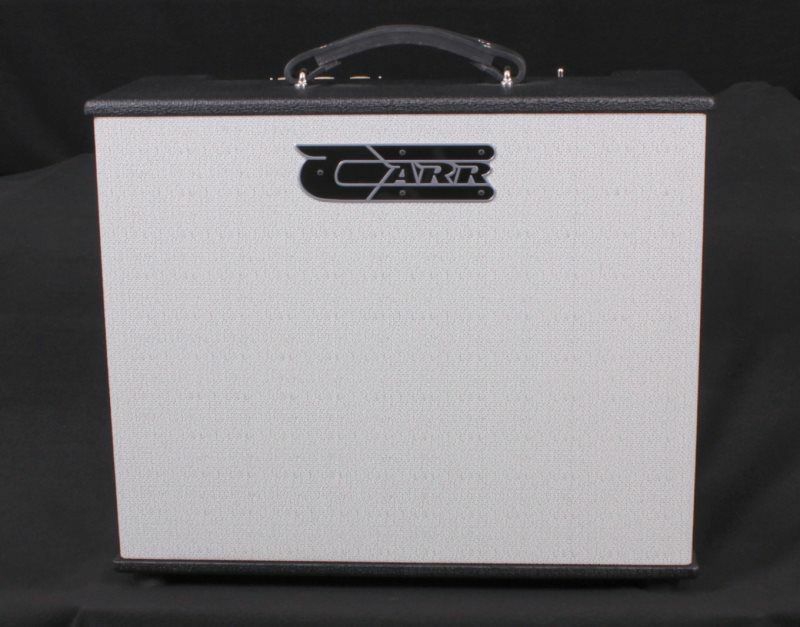 Mid – Varies the midrange frequencies and is very interactive with the Treble control. For a 60s American tone, set the Mid to the ‘68’. The tone becomes more aggressive as you advance the Mid past 1 o’clock. When the Mid is set near full, the Treble control’s effect is more subtle. Bass – Varies the low end from lean to full. To retain clarity, turn the Bass down at higher volumes. Reverb – Controls the amount of reverb sound from none to deep and lush. 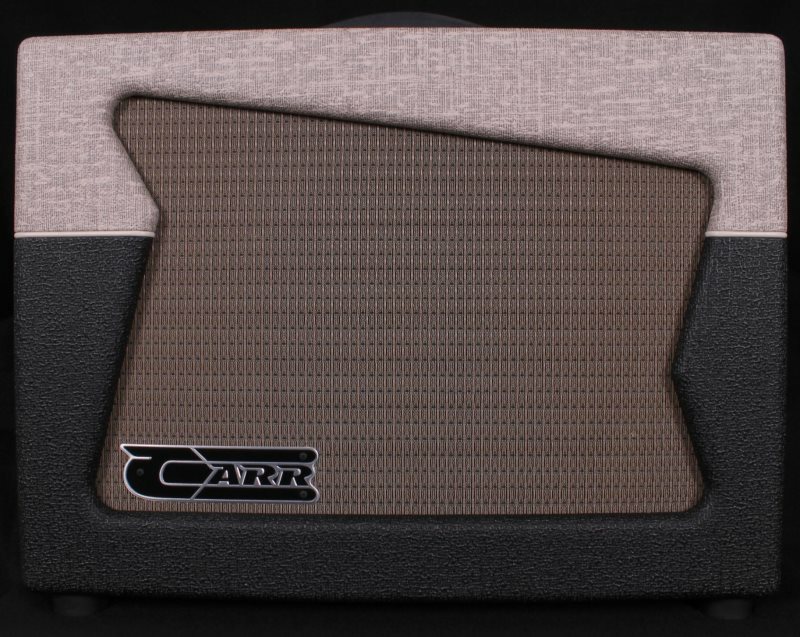 The Impala uses an audio taper pot for reverb. The effect is very subtle till you hit 12 o’clock on the dial allowing great control over the amount of reverb. Master – The interface between the pre amp and the power amp on the Impala. For the cleanest sound, set the Master to Full and set the Volume control low. For thicker clean tones, set the Master to 11 o’clock and the Volume to 12 o’clock. For overdriven tones, set the Volume to 3 o’clock or higher and set the Master to the desired listening level. Higher Master settings will bring in more output section overdrive when the Volume is set high. Standby – Set the amp to Standby (switch baton down) before turning on the power switch (see On-Off-On below). After 1 minute of warm up, switch the Standby baton up. The amp is ready to be played. Using the Standby switch every time the amp is turned on will prolong tube life. Note: the Impala uses a very large pre amp power supply capacitor – it will take about 45 seconds for the pre amp to come up to full volume once Standby is in Play. On – Off – On – Selects between two ON positions and the OFF position (middle). The two ON’s are wired in opposite phase of each other. If you receive a shock from another piece of equipment (a microphone or another amp) that is not properly grounded, or if you hear static, switching to the opposite ON may solve the problem. This is sometimes called “switching polarity”.